Besides the awesome fact of not having to get off the couch to answer your door, the video doorbell has some other pretty neat perks. Answering your door from a mobile app creates a whole new world of possibilities. Protect important deliveries wherever you are. 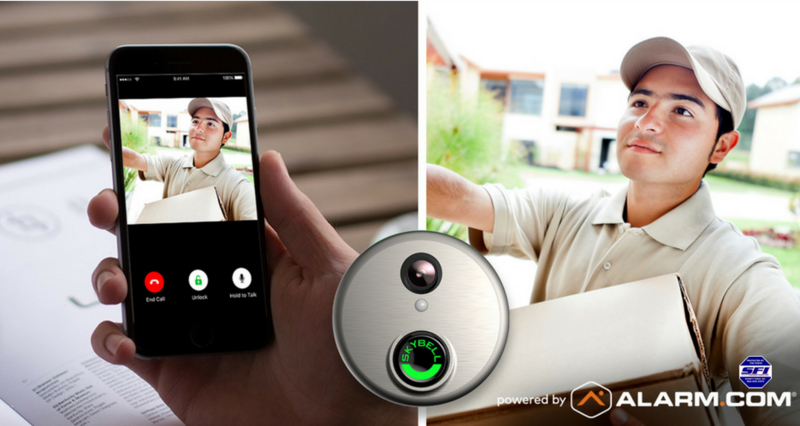 With a video doorbell, you can check on your package throughout the day. If you have smart lock you can unlock the door and watch a live stream of the deliverer placing the package inside your house, watching the door close, and then locking it right from your phone. Having surveillance outside your front door is a way to secure a peace of mind. Whether it’s the kids arriving home every day or making sure the baby sitter arrives and remains alone, the video doorbell has got you covered. Also, set up daily video alerts. 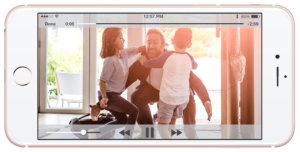 These short clips will be delivered to your phone at certain times and recordings are even activated by specific motions. Using the smartphone app will give you the comfort of knowing your snacks are safe and sound. I want a video doorbell now: What’s next? After reading about all these perks that come with our video doorbell, who could blame you for wanting one. Schedule an appointment and the SFI team will reach out to you. How much is the door bell? I like the idea that you can see inside and outside when you’re not home. Don’t think I would use the unlock but you never know..
© Copyright 2018 Security Force, Inc. All Rights Reserved.